2Nephrology Unit, Mansoura Urology & Nephrology Center, Mansoura Univ., Egypt. HCV was discovered in late 1980s. Few years later the INFα was established as the standard treatment for chronic hepatitis C virus (HCV) infection but with low response rate. This era was followed by consecutive improvements of the INFα based therapy regarding the dosing and pegylationand combined treatment INFα with ribavirin on 1999 which was associated with relative better health related quality of life and favorable clinical outcomes. Recently, the introduction of direct Acting Agents (DAAs) targeting specific viral component revolutionized the treatment of this virus. 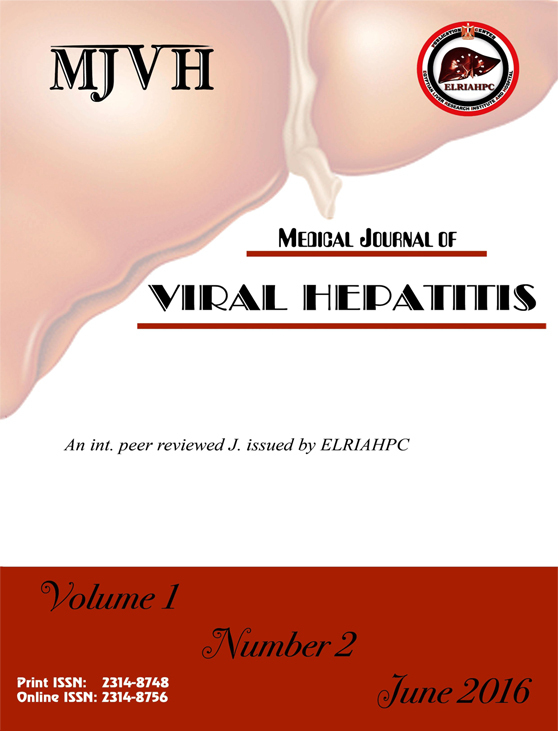 During the upcoming years, we shall hopefully find a universal and dramatic impact on end-stage liver disease owing to the invention of these oral potent drug protocols against HCV infection.